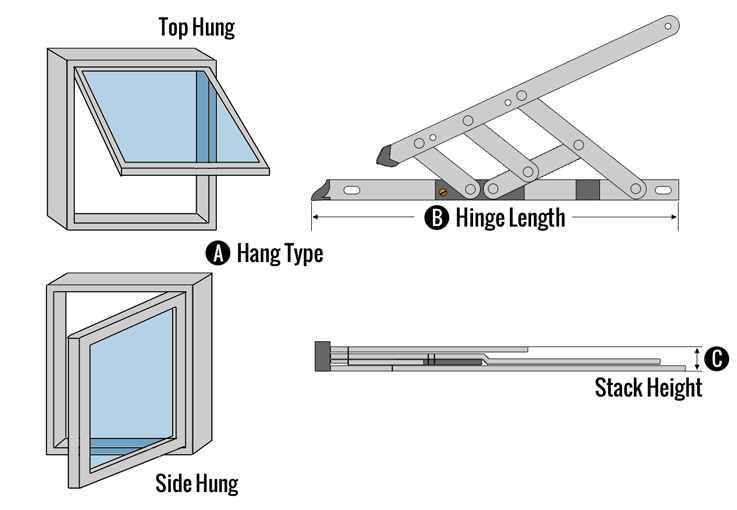 A Hang Type - Is your window Top Hung or Side Hung? B Hinge Length - Measured to the closest inch e.g. 12"
If you are unable to measure the stack height of the hinge then you can purchase some stack packer caps. The caps simply clip on to the hinge and convert the hinge from a 13mm stack to a 17mm stack. We recommend fitting 3 packers per hinge (so a pair of hinges would require 6 packer caps). Please click here to buy the friction hinge stacker caps.